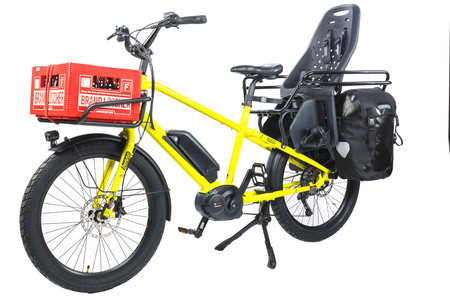 The Benno Boost E is designed to fill the gap between regular bikes that can't carry enough and cargo bikes that are too cumbersome and carry more than most people need on a daily basis. We believe that eBikes are two wheeled electrical vehicles that need to be able to replace a car. The Boost E is extremely practical and can be accessorized with many smart, racks, rails and bags to fit your lifestyle and daily needs. 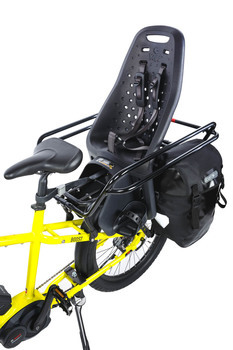 It has a compact sturdy aluminum frame and it runs on 24"x 2.6" tires that ensure a low center of gravity and a longer wheelbase while keeping the bike short. It is equipped with the Bosch Performance motor, Shimano Deore 10-speed, hydraulic disc brakes and Supernova E3 lights. Solide, stark und vielseitig finden wir das Boost E. Besonders die große Bandbreite an Transportmöglichkeiten beeindruckt uns. 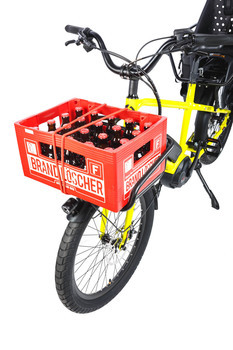 Das Design ist ansprechend und mit seinem langen Radstand lässt sich das Pedelec gut steuern.